Everybody has that one recipe that their family has them make for every occasion. Homemade coleslaw is mine. 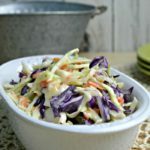 I’ve been making this homemade coleslaw recipe for years, and it’s still everyone’s favorite. In fact, my sister-n-law who doesn’t even like coleslaw will eat my coleslaw. That is the ultimate compliment. 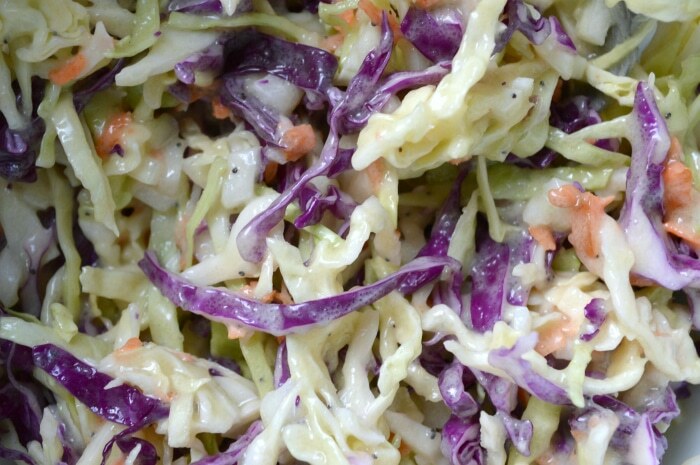 So what makes this coleslaw o’ so good? It has the right amount of bite and sweetness to it. Many coleslaws taste like mayonnaise on mushy cabbage to me. That is not the case with this recipe. 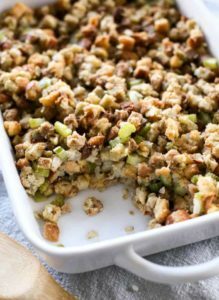 The celery seed adds a touch of flavor in all the right ways. The sugar gives it the perfect amount of sweetness. The salt brings out all the flavors just right. Why do I love making this for my family? It’s so easy! 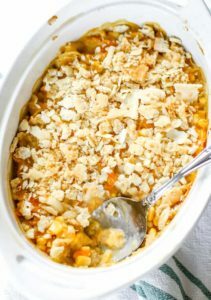 I can whip this up the night before any occasion and it’s perfect for the next day. In fact, in my opinion it’s better if you let it sit for awhile to marinate. I bring this to our Easter dinner, Christmas dinner, Memorial Day picnic, July 4th picnic… you get the idea, right? It’s that good. 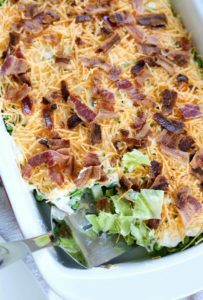 Combine all the ingredients except for the actual shredded cabbage. Mix them well. 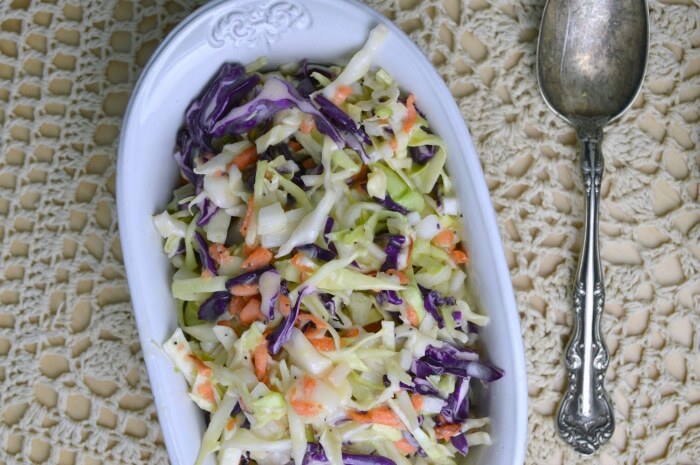 Combine the mixed ingredients with the coleslaw mixed cabbage. And that’s it! Refrigerate for at least two hours but it’s best if left to marinate through over night. Stir before serving. 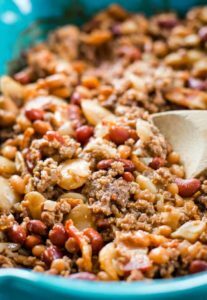 Every time I make this recipe, I find that the juiciness of it becomes a bit much at the bottom of the serving bowl. The salt in the recipe draws out the liquid in the cabbage. To help with that, I store the coleslaw in a container like this. 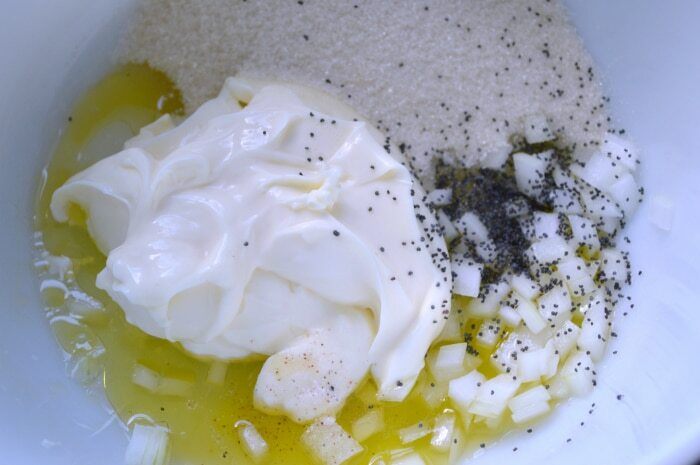 When it’s ready to serve, I use a slotted spoon to dish it into a nice display bowl. Easy! 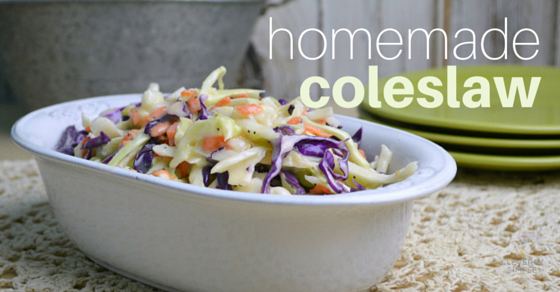 Make your own coleslaw! 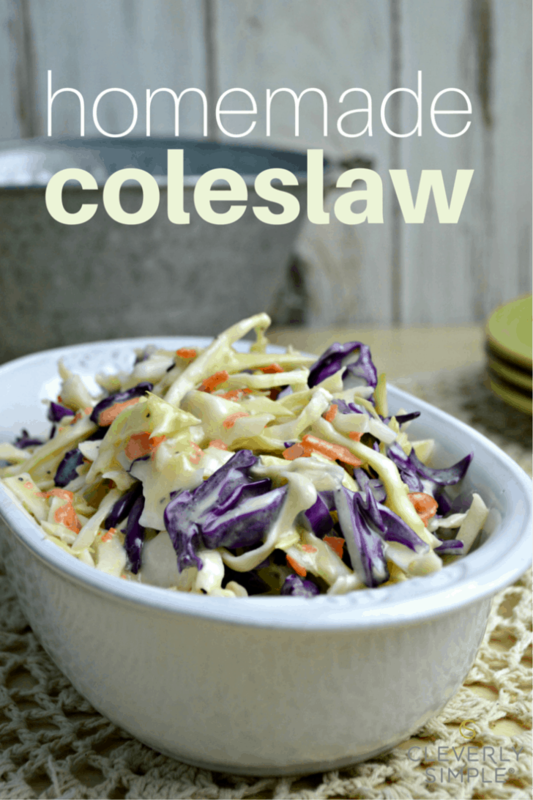 It’s so much better than the store bought coleslaw – made in less than 5 minutes! 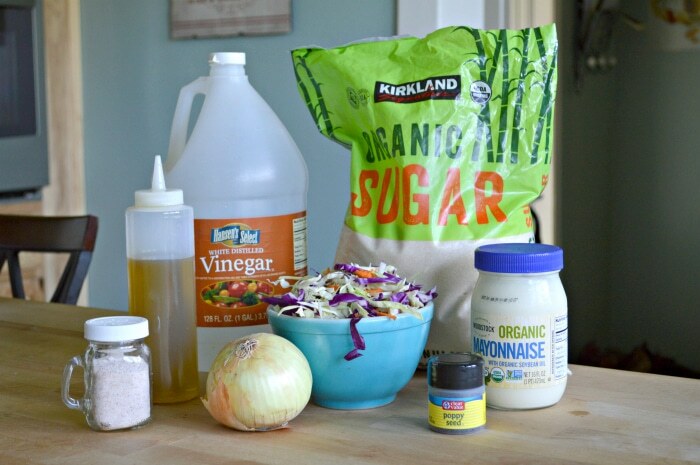 Mix all ingredients except for the bag of coleslaw. Mix in the coleslaw bag with the mixed ingredients. Place in the refrigerator. Let set for at least 2 hours. It’s best if it’s let overnight. (It also depends on how crunchy you like your coleslaw.) Keep chilled until serving.